It was in April 2011 that I began a new folder labeled “Viktor Orbán–After.” The very first item in that folder was an opinion piece written by Mátyás Eörsi, former SZDSZ member of parliament and the leader of the Alliance of Liberals and Democrats for Europe Group in the Parliamentary Assembly of the Council of Europe (PACE). 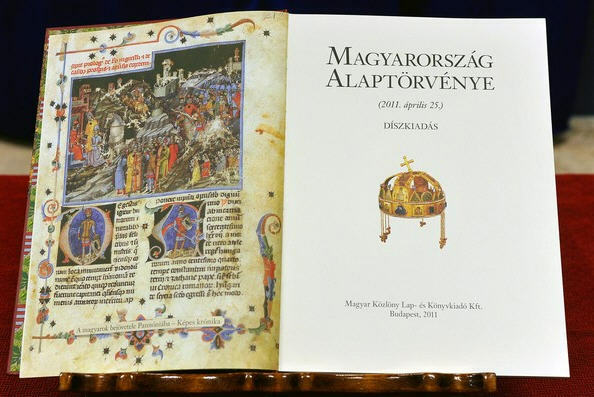 His article, entitled “2014,” appeared in Magyar Narancs. Even at that point it was pretty clear to everybody engaged in politics that a Fidesz defeat could be achieved only by a joint effort of the democratic parties and that the next government would most likely be a coalition. Eörsi envisaged a coalition of MSZP, LMP, and perhaps some civic organizations. We mustn’t forget that at this point Ferenc Gyurcsány hadn’t yet broken with MSZP and the rebels of LMP were still supporting András Schiffer’s strategy. Eörsi outlined the impossible situation in which the new prime would find himself given that all the key appointed positions would already be filled with Fidesz supporters. This new prime minister might offer Viktor Orbán a deal: Fidesz would support minor changes in the constitution in exchange for keeping the symbolism and the conservative nature of the constitution. In addition, the new head of the government would promise not to prosecute former politicians. But, in Eörsi’s opinion, it was unlikely that either Orbán or his successor would agree to such a deal because, among other things, Fidesz’s men could easily obstruct the work of the government. For instance, if the Budgetary Council’s Fidesz apparatchiks were to use stall tactics so there was no budget by March 31, the president could dissolve parliament. It would not be in the interest of Fidesz, Eörsi argued, to make a deal. But then what? Eörsi’s answer was that any kind of dealmaking with Fidesz would not only be a waste of time but also in the long run would work against the new government by allowing the opposition to become stronger with the passage of time. Instead, immediately after taking office the new prime minister ought to suggest holding a referendum on the constitution. Fidesz would argue that the constitution itself precludes the possibility of any change by referendum. But the prime minister could insist that the will of the people supersedes the constitution. In brief, Eörsi suggested a not entirely legal way of solving the problem. I may add here that Eörsi wasn’t the only one struggling with this problem. Several people, including József Debreczeni and László Lengyel, published articles in which they suggested similar schemes to get around the iron grip of the Fidesz-built political system. Viktor Szigetvári, who at this point was the head honcho in Gordon Bajnai’s “Haza és Haladás Alapítvány” (Homeland and Progress Foundation), immediately answered Eörsi in an op/ed entitled “There is no emergency exit: Can the constitution be subverted by illegal means?” In Szigetvári’s opinion the Orbán constitution is legitimate and legal and the new government cannot use illegal means to repudiate it. Eörsi’s solution, he maintained, is “undemocratic.” The only solution is to get a two-thirds majority in parliament. Of course, we must keep in mind that the parliamentary discussion of the electoral law hadn’t yet taken place. Szigetvári admitted that there was a possibility that Fidesz would come up with an electoral law that would make a two-thirds majority an impossibility. But even then, he would rather opt for “a long period of government crises, political standoff, and everything that goes with it” than use unconstitutional means to remedy the political impasse. According to Szigetvári, Eörsi’s solution was not only legally unacceptable. It was also a misguided solution in political terms as well because it would retard the opposition forces’ ultimate goal: a two-thirds majority. Moreover, it would preserve the old political elite, meaning the MSZP-SZDSZ coalition, which Szigetvári thought unfit to introduce the changes necessary for a new era in the history of Hungarian democracy. A few days later Csaba Tordai, a legal scholar and a board member of “Haza és Haladás,” went even further than Szigetvári, who objected only to Eörsi’s legal trick. Tordai basically claimed that there is nothing terribly wrong with Orbán’s constitution. As he wrote, “one can live with this document.” In an earlier article Tordai had found the codification of the constitution very poor, but basically he felt that there was no burning need to change it. After all, the constitution by and large followed the structure of the 1989-90 constitution. The preamble, he argued, is not that important because “nothing follows from it.” Again, one must keep in mind that at that point the details of the cardinal laws were still unknown. Tordai swept aside the role that the Budgetary Council could play that might lead to the dissolution of parliament. As for the Fidesz apparatchiks in key positions, “a half competent government should be able to defend itself from them.” He was also optimistic about the independence of the judges although about the time his article appeared the forcible removal of judges age 62 and over was announced and András Baka, chief justice, expressed his worry about the independence of the Hungarian judiciary. László Majtényi, former ombudsman and today the head of the Károly Eötvös Institute, a legal think tank, more or less sided with Tordai and Szigetvári and rejected Eörsi’s proposition. A new government must negotiate with Fidesz. That’s the only possible way. Eörsi answered in Élet és Irodalom (June 22, 2011), an answer that highlights the difference between a practicing politician and constitutional lawyers. Eörsi thinks with the head of a politician. Naturally, he wrote, one must investigate the possibilities of negotiations, but he would like to see just one occasion when Viktor Orbán actually tried to achieve consensus. Even after the defeat in 2002 he came back more combative than ever. There are some people who think that Fidesz might force Orbán to resign after a lost election. But Eörsi called those people who believe in Orbán’s fall “dreamers.” The chance of an agreement with Viktor Orbán, who will most likely try to remain in his post as head of Fidesz, is close to zero. These articles were the first to probe what steps a new government could take under the circumstances. Let’s keep in mind that this discussion took place two years ago. Since then the situation has become far worse. ← Coming to an understanding with Viktor Orbán and his followers? Eva:But the prime minister could insist that the will of the people supersedes the constitution. In brief, Eörsi suggested a not entirely legal way of solving the problem. I may add here that Eörsi wasn’t the only one struggling with this problem. Several people, including József Debreczeni and László Lengyel, published articles in which they suggested similar schemes to get around the iron grip of the Fidesz-built political system. In my opinion (and I am not a legal expert) this entire current constitution is null and void. Reason is the 4/5 majority it required to change the previous constitution was removed “illigally” b y Fidesz. Illigally in brakets, because MSZP and SZDSZ implement this in the constitution as a temporary measure, but “forget” to remove it. This 4/5 was not removed by the subsequent governments starting with Fidesz. Therefore, this temporary measure became a permanent measure, and as result all actions by Fidesz are illegal. As you can see it is in a bend. Luckily the water is not that fast, but can you imaging a lump of a tree hitting this dam? Brrr. As I can see with this arviz problems, Hungarians can work together. The opposition should work together also, but only regarding a new constitution and election law, and after acceptance of these two laws, they should disband parliament and have new elections based upon these new rules. A bit telltale wording, don’t you think? So, its isn’t the Hungarian constitution, after all, is it? Soon we will see how smart Szigetvári and Tordai are (i.e. how successful Bajnai will be, for they are his chief advisors). Tordai’ habitus is that of a quintessential liberal intellectual, whatever he says has no relation to politics as the game is played in Hungary. He is too smart for his own sake. I contend that a completely new constitution could be approved by referendum (even if the constitutional court and the election boards, both filled with Fideszniks, would kill the proposal in a formal legal sense) if the upheaval, the rejection of the Fidesz era would be strong enough. But in that case the opposition, most likely MSZP, would be able to amend the constitution anyway. I think Szigetvári and Tordai simply realised that it is almost impossible to win a constitutional majority against Fidesz in the current constitutional/election system. Also they figured that until Orbán and his fraternity remain dominant in politics and in power, they have to be pragmatic (rather than idealistic, which anyway disappeared from the left) they said the hell with the crazy historical kitch (the constitution) they can live with it. It should be know that Tordai is a quasi-disciple of László Sólyom, and Sólyom always stated that the Basic Law is although ugly (like the National Theatre) it is acceptable, is in line with Western principles. Sólyom still holds this view, as do his closer disciples (although I am not sure about Tordai, since he is not part of Sólyom’s inner circle), they are only critical of the 4th Amendment. Also Szigetvári and Tordai are relatively young. This means that it is natural that they felt that since the Basic Law is entrenched, they do not want to sit on the sidelines for ever (for the next 20-30 years, until a new constitution may be approved, based on historical averages), but rather felt that they have no choice (if they want to have any chance to remain in the politics/constitutional law ‘games’) but to accept the Basic Law and the system it created. See, this is where Fidesz always win. Fidesz never accepts the rules of the game (whether or not they make this approach public), but they – being relentlessly aggressive and absolutely unforgiving – always force the other side (everyone else) to accept Fidesz’s rules play it on Fidesz’ terms. The left, which completely lost its vision, idealism and principles (if they had any), does not realise this and happily enter the game, which they cannot fundamentally win. Orban is bad for Hungary and Humanity. All means are justified to remove criminally minded leaders. Impeach him. Throw him out. Enough evidence can be found to prove his crimes. The government is taking over the moneys charities collected for the flood. From tonight, one can contribute only to the government’s account. We have not received a full disclosure where the donated funds went after the “red silt” catastrophe in 2010. This whole flood is recast as a huge government PR campaign. The peak will be around the 2002 and 2006 flood levels at Budapest – between 8.50 and 9.00 meters on the old water measuring rod. More importantly, the peak is not sustained – have a look at the sharp peak at Passau.The levees or dykes were built to 10.5 meters in the city 130 years ago (good, lasting engineering! ), and to 9.3 meters around Margit island. I beg to differ! How about trying voting first in 2014? As painful it is, the election is still aead of Hungary. I do not go into speculations regarding how the election may or may not will be manipulated. THere are some signs of manipulation and I trust the EU to deal with it. “All means” is a very wide definition, and if you do not plan to be part of “all means”, you should not say that. wowww. No surprises there. Yes, I remember that facts how the people at the red slit were ripped off and how many became rich. The zero point first was at 96.586 above the Adriatic at Lanc bridge from 1834 to ?? Now the zero point is at the Vigado, 94.97 m above the Adriatic. The bulk of the levees were built between 1871 and 1875. 1878-1885: The top of the main levees was made higher by 0.62 m.
I had to stop my subscription after only three days. Your habit of changing around all the Magyar names to pretend that they are all living abroad made me feel that you are all pitiful pretenders. Would Xi Rong-ji Chinese president reverse his name ? Or Ma ying-jo of Taiwan try to pretend that he is from the US ? No, they have pride in their nationality. Dear A. Endre (Did you parents register your middle name as A. or really it is Attila?) I fully agree with you, so please contact Orban Viktor’s office and let them know that they should not list Mr. Orban as Viktor Orban for the foreigners on google to guide them to his home page. Also, please contact wikipedia’s English section, or better, boycott wikipedia’s English language versions. THen again, maybe we should just switch to full Hungarian on this blog, or better just follow what you suggest and post last names first, first names last, so as to confuse those English speakers. Why would they want to understand Hungary at the first place if they do not speak Hungarian anyway? So, when alphabetical lists are put together with foreigners, would you prefer to see Hungarian names put alphabetically with last names of others or would you prefer to put the first names wit the lat names. Example Kodaly Zoltan, should be under “Z” am I right. You should contact wikipedia regarding their list on Lehar, Kodaly, etc. Regards. If you get any European or American passport, your family name comes last. Orban is willing to change two points in his “Basic Law”, but insists on other things, e.g. restrictions on campaign commercials. If you are proud to be Hungarian now, during the time of the Azeri axe-murderer and the government protection of Laszlo Csatary…than you have no decency or integrity. Here is the list of the Danube maxima over 7 meters at Budapest. It is a bit interesting how many maxima occurred on the 8th or 18th of a month. The public television Duna banned a concert movie for “obscenity” against former president Schmitt. I’m guessing BUDAI is your family name because it is in all capital letters. Am I right? how are you? good article on Hungarian refugees like us.